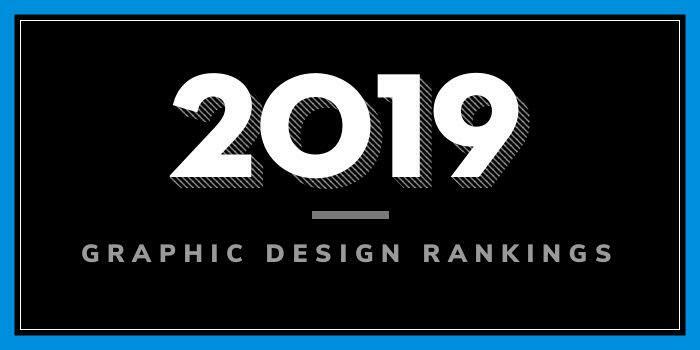 Our 2019 rankings of the top 10 graphic design school programs in New York. For an explanation of the ranking criteria, click here. The Cooper Union for the Advancement of Science and Art (CU) was founded in 1859 by inventor, industrialist and philanthropist Peter Cooper. The school offers programs in the areas of Art, Architecture and Engineering, and courses in the Humanities and Social Sciences. With nearly 1,000 students enrolled (2017-2018), CU art student’s account for 32% of the student body. Founded in 1937, Queens College (QC) is part of the City University of New York (CUNY) system. The school, which serves more than 19,000 students from nearly 170 countries, offers bachelors and master’s degrees in over 170 areas through four Divisions. The Division of Arts and Humanities consists of 11 departments including the Art Department, which offers a BFA in Design with a Concentration in Communication Design and a 21 credit hour Minor in Design. Per the school, students can "specialize in techniques and approaches that prepare them for a multitude of design-based careers, including graphic designers, software and web developers, animators, marketing and advertising specialists, or product designers." The program also has an "extensive network of internships that allow students to get real-world experience as a designer while receiving college credit and building their resume." Course highlights include Book Design and Production, Children's Book Illustration, Color and Design, Creative Coding, Digital Animation, Digital Imaging, Digital Moviemaking, Graphic Novel, Pixel-Based Imagery, Publication Design, Storyboarding and Storytelling, and Vector-Based Imagery. Students will also complete a portfolio. Established in 1824, Rensselaer Polytechnic Institute (RPI) serves more than 7,600 students enrolled in more than 100 degree programs through five schools. The School of Humanities, Arts, and Social Sciences (HASS) offers three programs for aspiring graphic designers. Pathways include a BS in Communication with a Concentration in Graphic Design, a BS in Electronic Media, Arts & Communication (EMAC) with a Concentration in Graphic Design, and a BS in Design, Innovation, and Society (DIS). The BS in EMAC with a Concentration in Graphic Design provides a foundation in Communication Design, along with a unique interdisciplinary curriculum that includes courses in communication as well as in digital art and animation, video, electronic music, and graphic design. Students may enhance their education by adding a minor, dual major, study abroad, internship, or even a co-terminal graduate program. The BS in DIS is a hands-on, creative design program that is the one of the world’s only design programs based in a Science and Technology Studies (STS) Department. The program has a technical option that allows students to gain technical expertise in graphic design, management of product innovation, engineering design, or software design. The program also offers the option to complete a dual major in DIS and Communication/Graphic Design. Graduates of the BS in DIS program have been hired by companies such as Accenture, Becton Dickenson, Burton Snowboards, Citigroup, GE, Hasbro, John Deere, and L’Oréal. students have also been placed on co-op with Apple, Slingshot, Schick Wilkinson Sword, and GE in the past year. Fordham University was established in 1841 as St. John’s College. The school serves nearly 15,600 students enrolled in over 60 undergraduate degrees and over 130 graduate degrees and advanced certificate programs through four undergraduate colleges and six graduate schools. Fordham College at Lincoln Center houses the Department of Visual Arts, which offers a BFA in Visual Arts with a Concentration in Graphic Design and a Visual Arts Minor consisting of six courses. The program consists of a minimum of 10 three-or four-credit courses, in addition to the Common Core (liberal arts). The four core courses in the Visual Arts Major include Art History Introduction: Europe or Asia, Visual Thinking, Drawing I, and one upper-level elective. Options include Graphic Design History, Graphic Design Seminar, and Art, Design, and Politics, to name a few. Graphic Design students will also take Fundamentals of Web Design and Logos, Branding and Presentation. Other program highlights include access to computer labs and studios including weekends, evenings, and summers, two galleries (Ildiko Butler Gallery and Lipani Gallery) dedicated to solo and two-person senior-thesis shows in the spring, internship opportunities at one of New York’s many cultural institutions and companies, and study abroad opportunities in the junior year. Students also have the opportunity to curate exhibitions, design materials for events, arrange workshops, attend lectures and take field trips. Several student-run clubs offer the opportunity to collaborate with peers on projects. Founded in 1870, Syracuse University (SU) serves nearly 22,500 students from all 50 U.S. states and 126 countries. The school offers more than 400 programs across 12 colleges and schools and a graduate school. The S.I. Newhouse School of Public Communication serves approximately 1,900 undergraduates, 200 residential master’s degree students, 200 online master's degree students and 13 doctoral degree students. Here, students can earn a BS in Graphic Design. The College of Visual and Performing Arts A also offers a BFA in Communications Design. Per the school, the “graphic design major emphasizes storytelling, design thinking, and a human-centered approach in interactive, motion, immersive, and print environments. Students also learn industry-specific communications law and ethics, as well as develop relevant skills in writing, photography, presentation, and business.” Course highlights for the program include Communications and Society, Diversity and Media Issues, Experience (UI/UX) Design, Immersive Design, Motion Design, Multimedia and Storytelling, News Writing, Type and Image Design, and Typographic Design. Students will complete a Graphic Design Capstone and two additional courses: Introduction to Entrepreneurship and Emerging Enterprises (Whitman School of Management), and Ethics and the Media Professions (College of Arts and Sciences). A Global Experience is also part of the program. In the BFA in Communications Design Program, students will work individually and in various group collaborations. “Projects incorporate advertising, marketing, packaging, publication, web and social media, and best business practices.” The program culminates in the annual two-day senior portfolio show in New York City, open to design professionals in the tristate area. Students will also have the opportunity to study abroad in London, England, through Syracuse University Abroad.